Lent is Here! Give Alms! Pray! Fast! Support the Catholic Charity Appeal Today! 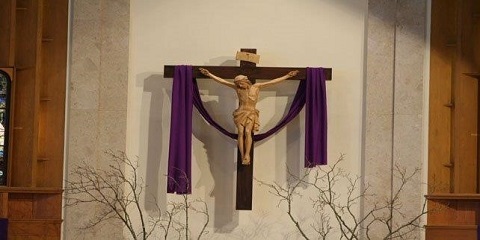 Dear Parishioners: Lent has arrived! We saw big crowds at Ash Wednesday Masses as the faithful came forward to “Turn away from sin and believe the Gospel!” It is our time to pray, fast and give alms for forty days. 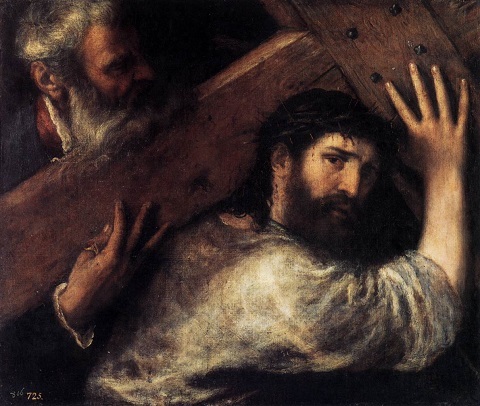 From the very early times in the Church the commemoration of the approach of Christ's passion and death was observed by a period of self-denial. In 379, St. Athanasius enjoined the people of Alexandria to a 40 days' fast, telling them: "to the end that while all the world is fasting, we who are in Egypt should not become a laughing stock as the only people who do not fast but take our pleasure in those days." On Ash Wednesday in the early Church, the Pope walked barefoot to St. Sabina's Church in Rome ""to begin with holy fasts the exercises of Christian warfare, that as we do battle with the spirits of evil, we may be protected by the help of self-denial." In our own time, Lent might be likened to Spring Training for Major League Baseball. Working on the fundamentals and striving for excellence not as baseball players but as Catholic disciples. Of course the fundamentals in this case are the three traditional pillars of Lent: prayer, fasting and alms giving. Alms giving is a sign of our care for those in need and an expression of our gratitude for all that God has given to us. Works of charity are an integral element of the Christian way of life we began when we were baptized. During the forty days of Lent, we renew our commitment to loving our neighbor by being more generous in our charitable giving, by reaching out to the poor and needy with acts of charity, and sacrificing some of the bounty we enjoy so the needs of the least among us might be met. This weekend we have a tremendous opportunity to renew our sense of alms giving with the Catholic Charity Appeal. This very important charity supports the many ministries and programs of the Diocese of Providence which provide social, educational and spiritual support to thousands of Rhode Islanders who are in need. The ministries supported by the CCA range from social service ministries that provide direct support to the poor, the hungry and homeless, to immigrants and refugees, as well as emergency rent, heating and medical assistance for the poor. Also the important work of prison ministry is funded primarily through the CCA. OLM has always led the Diocese in supporting the CCA and so we are known across the state for our commitment to helping the poorest and neediest among us. The good works of the Church of Providence wouldn’t exist if not for the generous donations of so many committed Catholics in Rhode Island. I am especially grateful to the over 500 parish families that contributed to the CCA last year. Their generosity brought us well past our goal of $193,000 in 2016. A total of $268, 000 was donated at OLM last year. This support came in many pledges including from those who are Bishop’s Partners in Charity and give in excess of $1,000. Last year our average gift to the CCA at OLM was $450! It is a great witness to your charity, generosity and goodness! Again this year we are asking every parish family to prayerfully consider a pledge of $300. This is a monthly pledge of $30 or just $1 per day! Please consider making such a pledge, but also know that there is no amount too small to give and that every gift is truly appreciated. The foundational call of Catholic discipleship to charity is a Gospel call. During Lent, we are asked to focus more intently upon alms-giving, which means donating to the poor and also performing other acts of charity. As one of the three pillars of our Lenten practice, alms-giving is "a witness to fraternal charity" and "a work of justice pleasing to God." The Catholic Charity Appeal has supported the good works of our Church since the 1920’s. Its future depends on each of us to survive. In many cases, the Catholic Church is the only source of support for some of the poorest and neediest in our state. As Catholics we can take great pride in the good works of our Church done daily in the name of Christ. However, such pride must also be accompanied with real support, so I ask you to please consider a gift to the CCA today. I thank parishioners Kevin McDevitt and Steve Zubiago for once again Chairing the CCA at OLM. With their leadership and your generous support I know OLM can once again lead the Diocese! Let’s beat St. Luke’s in Barrington this year! In the name of the poor, I thank each of you for your support and generosity! Lent is here, let’s live it! Pray! Fast! Give! Be well. Do good. God Bless!